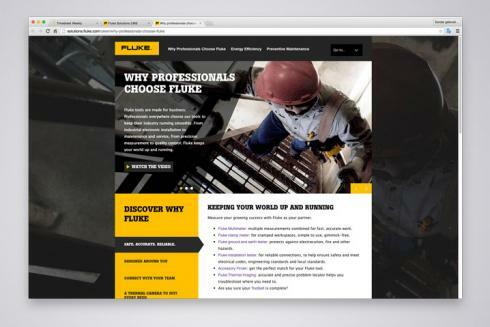 Like any other manufacturer, Fluke likes to have links to their own website on distributors websites to ensure that end users can get the best possible information on their products. However, this can be problematic as it can take potentially valuable traffic from the distributors or dealers that actually sell their products and solutions. 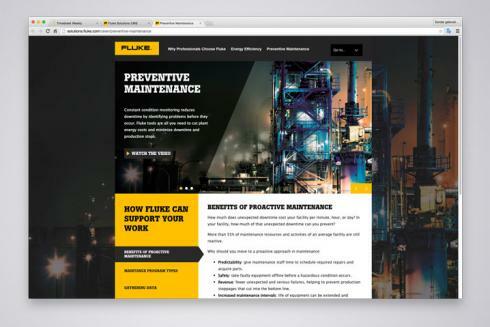 Centigrade developed a solution for Fluke where, via a content management system (CMS), web pages from Fluke can be served with the distributors customised branding. This allows the distributor to safely link to the Fluke solution page, the page recognises that the visitor has come from a particular distributor and brands this accordingly. 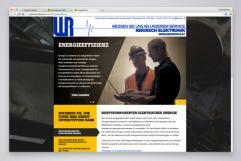 The page also has custom navigation which then takes the visitor back to the distributor’s site, closing the loop. 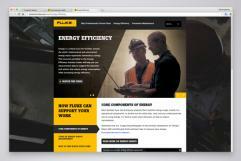 The custom pages support custom content allowing distributors to have content tailored for their market. Also, as the pages have analytics, Fluke can also see the behaviour between their website and their distributors, gaining more combined market intelligence through the channel. 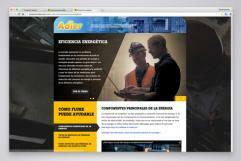 The simplicity of the CMS means that a distributor can be set up within a few hours.